Here we are, at the end of another year, and I feel like we just turned the calendar over to the new century. Time has flown, and yet when I look at those years in between so much has happened. I'll be celebrating the 7th anniversary of Crafty Staci next month (! ), which means I've also been writing this weekly feature for nearly that long. Are you ready for something a little different? I know I am! Next week look for a round-up of the top 10 Friday Favorites, along with a sneak peek at what I have in mind for future Fridays. In the meantime, have a happy New Year! This Winter Cheese Board from Gringalicious is gorgeous. I wouldn't be able to let anyone eat it. This Year in Review Printable from Skip to my Lou is available for 2016. I love that you and the kiddos can fill in the spaces AND spend some time coloring it. This Disneyland Mint Julep from Six Sisters' Stuff probably caught my eye because I just had one when we were in Disneyland earlier this month, but this seems like a perfect non-alcoholic drink to have on the party menu. These Caprese Phyllo Cups from Gimme Some Oven are a unique take on one of my favorite appetizers. 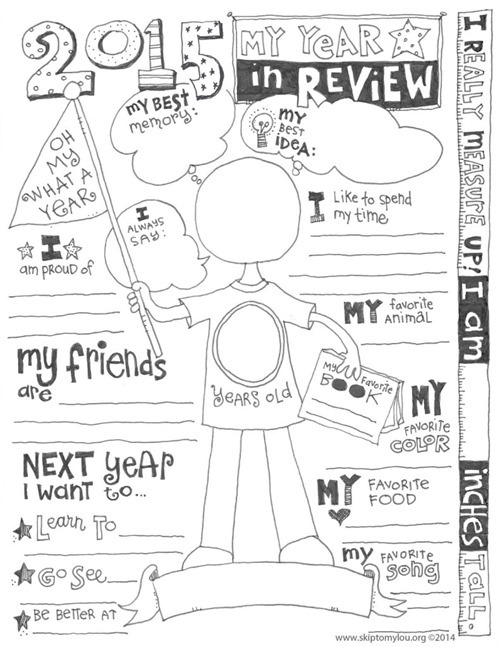 When my kids were young we welcomed the new year with something similar to this idea from I Heart Naptime. 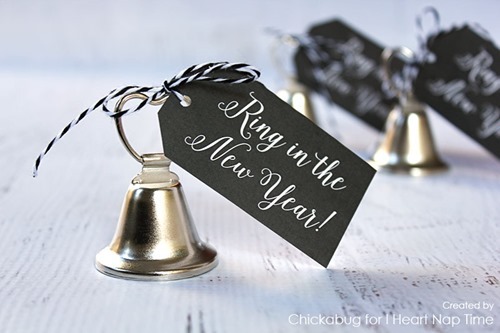 A bunch of littles ringing bells is much more adorable than some of the other noise-making options out there. This New Year's Eve Resolutions Game from The Idea Room is based on Mad Libs, so how could it not be fun? These Crepe Paper Party Hats from Jennuine are unlike any I've seen before, which is never a bad thing. When you're planning a party, a few things that start with a ready-made ingredient can make the time spent a lot more reasonable. These Glitter Dipped Fortune Cookies from Happiness is Homemade would be the bell of the ball. I'm going to admit, I don't really get Jello, but I know a lot of people do. These Champagne Jello Cups from The First Year contain both champagne and sweetened condensed milk, which might be enough to change my mind.